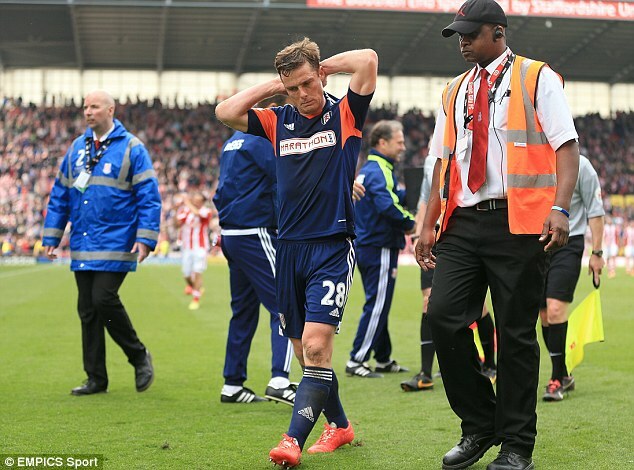 the look on a dejected scott parker’s face was probably shared by many american fans this past weekend. While there’s a strong desire to call this latest episode of the podcast the “Cinco de Mayo Special”, Jeremy would probably prefer we call it the “Nose Picking Special” thanks to this hysterical fan shot from this weekend’s action. But there was way more than nose-picking to talk about this week. For instance, an all-Madrid Champions League final has now been set. And over in the Premier League we had time to talk about Fulham’s sad demise, Liverpool “slipping” up once again, City taking the psychological advantage, Manchester United’s managerial plans, and D.J. tries his best to not nod off to sleep as he is forced to talk about a Spurs’ lackluster already-on-the-beach display. We also take discussed some of the weekend MLS action, including the Crew getting dominated on the road in Kansas City. And as a written reminder, we’re looking for pod listeners and blog readers to submit their eulogies of their clubs’ seasons to share on next week’s season finale for the WSOTP Podcast. If you feel like summing up your club’s abysmal/amazing campaign, send it across via email to contact[at]wrongsideofthepond[dot]com. Previous Post: win a free spurs track jacket from campo retro!